I’d always wanted to escape to those special places they have where authors can write in a tiny cabin in the woods. An isolated place where you could go for weeks with no distractions except when someone arrived at midday to place a picnic basket filled with marvelous goodies at the door. The MacDowell Colony in New Hampshire and Bread Loaf in Vermont were my top choices. Plans change (or so Robert Burns would lead us to believe). At age 50, I married for the first time. He was an old friend from the past. He just appeared in the middle of my life one day and then he became my life. He had children he cherished and then there were his grandchildren. Powerful magnets that kept us in a place close to their busy lives. Vermont became a far-distant country in my dreams. One night while we were out dancing, I fractured my foot. I was forced wear a cumbersome, orthopedic boot for a few months. It was an enlightening experience, as I’d never sat still for so long in my whole life. One day, to amuse myself, I wrote a short story. It was set on a farm (What a surprise!) up in the Berkshire Hills of Massachusetts. 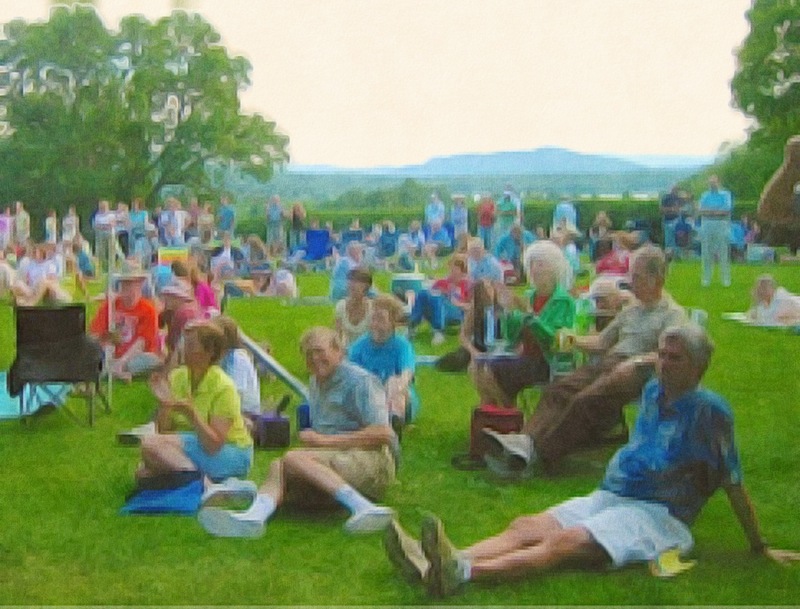 Charley and I traveled there each August to sit on the lawn and listen to the Boston Symphony Orchestra at Tanglewood, their summer home. My own little tabby, ZuZu, a faithful lap companion, became the central character. In the story she hears music from her loft bed in the barn. She roams through the fields to investigate and meets a beautiful violinist playing Mozart who invites her to attend that evening’s concert. (The violinist is actually a real person, Anne Sophie Mutter. I had heard her play a few times and listened to her cd’s while imprisoned in my recliner. )I loved that story with its idyllic setting. I didn’t want to leave. So, I created more stories for ZuZu with settings around Tanglewood: The Hancock Shaker Museum in autumn; the Red Lion Inn at Christmas; the Berkshire Botanical Garden in springtime; Chesterwood, the Norman Rockwell Museum, The Mount. These were all places Charley and I had visited and enjoyed over the years. I ended up with ten stories and, having time on my hands, sent some of them off to publishers. This was the beginning of a whole new education for me. The world of traditional publishing! Enough said about that. I found out that most publishers will only take submissions and queries through an agent. I didn’t have an agent. I found out from the few companies which accepted my queries, that although my writing was “quite good”, my “children’s” stories did not fit into the acceptable page and word requisites. That they were “too regional”. That committing to a whole series by an “untested writer” was not in the books (forgive my wordplay). My “Recliner Course” on traditional publishing was discouraging. But then I embarked on a new course. I entitled it “Self Publishing in the Comfort of Your Own Living Room”. I developed the syllabus. (Since I tend to be a bit OCD, it was daunting. I revised the ten stories into one book, learned all about formatting, editing, illustrating with photo apps, copyrights, ISBN numbers, etc.,etc, etc., and in the end, I aced the course. A Berkshire Tale was launched into the world. Once the boot was off, I began studying “Marketing by The Seat of Your Pants”. This syllabus changes every day. Visiting stores, reading in schools, meeting and greeting, book signings, and social media are major chapters. I enrolled in WordPress’s Blogging 101 and whole new worlds, filled with interesting people, opened up for me. 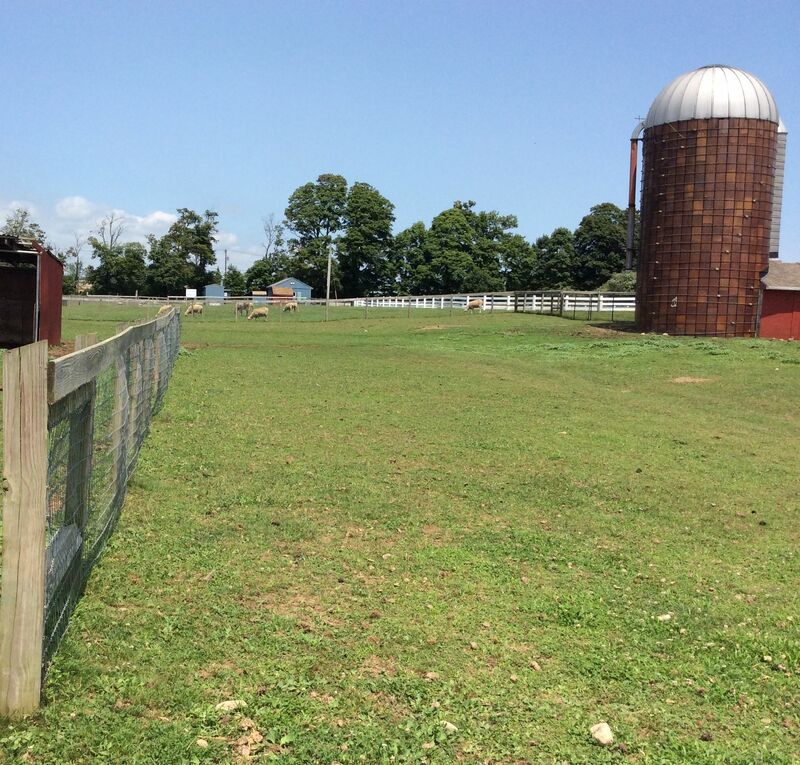 I’ve expanded the focus of my original blog, Around ZuZu’s Barn – The Importance of Early Reading With Children to encompass broader topics, even though A Berkshire Tale remains at the heart of it all. My new sub-title became Conversations With Kindred Spirits. I had plans. They changed. In the process I created my own McDowell Colony, my own Bread Loaf, my own “Boot Camp”. And from it all, a charming book evolved which has opened many doors for me. I’ll make sure I check every day and if I find you there, I’ll get you into my comments. Thanks! Such a nice story! I am crazy about cats and we love Vermont too. I think you’ll like some of my posts, and love Roxie’s aka The Other Cat. I love food and so your blog is a magnet for me. I was just reading it a little while ago and already found recipes I want to try. Plus you have a couple of great followers I love dearly (Lynn & Osyth) so I know I’m in the best place when I tune in to your blog. Thank you so much! I also love your blog. It reminds me of when I went to school in Boston and my parents used to love to go to the Berkshires in the summer. I like the regional connections. You are a beautiful writer! I started this blog to learn to be a better writer! I think following you will be inspiring! I started blogging 1-1-16 to practice writing. It is my weakness. I’m happy to connect with an English teach! I am looking forward to following you! Hello Claremary! Just hopping around the blogosphere and seeing what’s what. Enjoying your blog so I gave it a follow; come over and visit me when you can over at http://www.thatssojacob.wordpress.com and follow or comment if you like what you read! Thank you for the invitation and the visit. It really seemed that way, too. I love that the horse is named Petals! (I almost said her Zuzu was named for Zuzu’s Petals! One of our favorite movies.) I hope you like my blog – My last post is set at Harbor Beach in East Dennis. I love your blog and I’ve been to Harbor Beach. I watch that movie every year. The family home was on Stony Way just above Sesuit Harbor. It is such a lovely place (especially at sunset) and forms a powerful base of memory for us. Often, when I do a meditation, I take a walk there at sunset. The Ocean is probably the most relaxing thing I can imagine. I am so enjoying getting to know you! My turn to explore Zuzu’s Barn some more! You were on the famous Cliff Walk behind Bellevue Avenue and the Mansions. I took many an 11th grade class to the Newport Mansions when we read The Great Gatsby. It was filmed there. (The Robert Redford/Mia Farrow versions, that is) Yes, we have a gorgeous coast line here in RI. I live on the other side of Narragansett Bay from Newport. They’re connected by the Jamestown and Pell Bridges. Charley and I were just walking around the yard. We have to do another raking soon because all of the spring bulbs are starting to pop out of the ground. Spring is arriving in South County. I didn’t know that was the film location – but one of my favorite books! We had friends in Providence and we probably crossed one of those bridges, exploring, before I turned the job down in Newport. Spring is in pretty full swing for us. The daffodils in my front Southern Exposure have been up since early February and now past peak for those blooms…all the others are popping open, more every day, along with our hyacinths. Fruit trees (Bradford Pear, Cherry,) are covered with flowers or ready to bloom. We’ll have 70s for high the rest of the week so everything will be out soon…of course, around here everywhere you look are pansies that have pretty much bloomed all winter.Spring and Fall here are my favorite seasons. I think our temps around here will be in the 60’s for the next two days and this Sunday is Daylight Savings Time – the clocks are set 1 hour ahead and we gain an hour of light in the evening. Yay! What an awe inspiring ABOUT! I admire your generous heart, openness, flexibility, courage to deal with change, and perseverance! 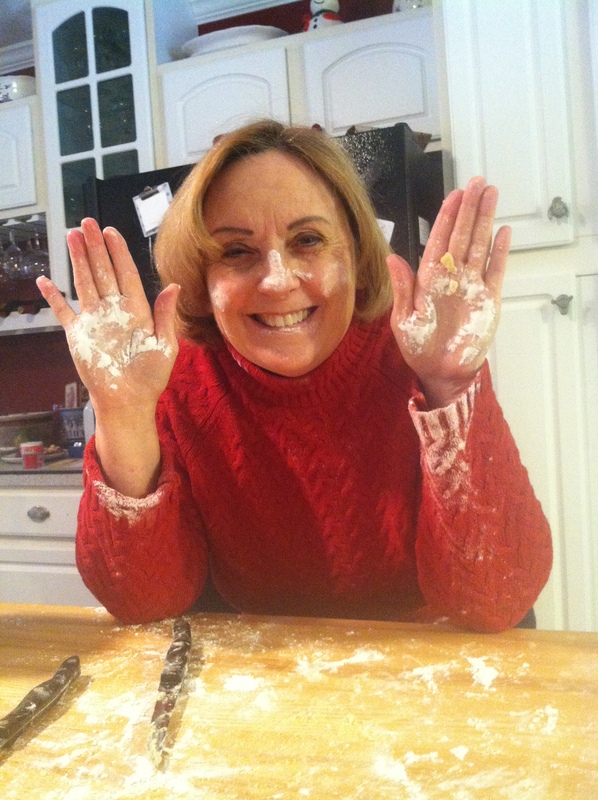 You have created your dream and “Bread loaf!” Love your closing photo! LOL Your story gives me encouragement. Oh, how true it is, Tobe. I am so glad to be retired, although I really loved teaching. I do enjoy going in to the elementary schools and reading with the younger children. It is a joy. Aww so true!! Everything you say!!! I do look forward to more and more convos with you my dear friend! How wonderful! Life is mysterious. You can never plan it and I’m so happy for you. I’ve learned to take life as it happens and enjoy each minute. It certainly helps avoid being disappointed when it doesn’t go the way you think it should. Thank you. Clare, I find your story so inspiring. Congratulations on making so many positive things happen. I am currently working on a children’s writing course- it so encouraging to see other people out there succeeding with their writing. Best of luck in everything you do. Regards of course, to my new friend Roxie! Thanks, Marie. Are you taking the course or preparing to give it? Your writing is filled with imagination and I’m enjoying catching up on your older A-Z challenge posts. Success is a bit relative, right now. I’m still trying to make it in the world of children’s lit. It really entails getting out and marketing your work. Some days I do well and others, not so much. Hiya Clare > Yes I think it has but not sure how but I think it’s in a forward direction at least. Yes, I think we’ve both found a comfortable voice for ourselves in this blogging process. I’m sure Roxie will forgive you-eventually! I am just at the start of ‘wanting’ to be a children’s writer. I’m working through an online course, which is great. It does seem a difficult path, but it’s something I’ve always wanted to do. Thanks so much for your lovely encouraging words. I truly hope great success is just around the corner for you. Your writing is so engaging and fun. Thanks Clare. It’s just so nice to talk to other people who are interested in the same things as myself. Writing can be a bit of a solitary path. I’m so happy that I’ve discovered blogging and connected with like minded people, and cats! Karen, I have to update my About Me because I eventually did take that course and it made a major difference in how I write and the topics I choose for my blog. (Although I try to keep posts as simple as possible.) Definitely visit other blogs. The comments following each post are a wonderful way to find people who are filled with ideas and are supportive. And if you can take the WordPress 101 course, you will find many more friends who love to share ideas. If you are a cat lover then my Roxie aka The Other Cat will be fun posts for you to read. And, Roxie thinks Gandalf is a truly Regal name. Deb, I love your part of Massachusetts and we visit there often. It inspired the settings for my ZuZu series. In the December story, ZuZu is brought to the Red Lion Inn where she meets Simon, the cat. He introduces her to Santa so that she can make an important wish. I wrote most of that chapter in one of the upstair’s rooms of the Inn.Thank you and I am actually going to teach workshops this summer entitled “Writing to Share”. I may be teaching it for Osher Life-Long Learning Institute up in the Berkshires next year. Maybe, we’ll meet! You’re very close. We’re planning on going up there in late July for a concert. I’m really looking forward to it. Thanks for taking time to read the stories and I hope they keep entertaining you. Roxie loves to be the center of attention. My workshops will be during the week at our local college, but I’ll be talking to people in the Berkshires to see about presenting them up in your area next year. Thanks & Hugs! We’ll be at Tanglewood for the BSO Concert. I’ll make sure I fill you in if I get some firm plans for a workshop in place. Bryant is in the northern part of RI and we live about an hour away in the southern part. Roxie will once again be left alone to babysit ZuZu. I’m sure everyone will hear all about it. This is, without a doubt, the best About Me page I’ve read over the past year on WordPress. I loved how “I had plans” and “they changed” echoed throughout, and it makes me happy to see you so happy in the pictures! I loved your plans and how you’ve overcome, adapted, improvised. Plans change, evolve, fall apart, and somewhere in the midst of it all, we realize life is like a current. It carries us along and forces us to examine where we are in relationship to our goals, our friends and our loved ones. If we’re fortunate, we bend, twist, flow with it and smile at the rewritten script we’re handed. Wishing you great success and happiness. How exciting! I have to tidy up for company. So many cobwebs to sweep away! Stop by anytime. Thank you for following my humble blog! I shall enjoyed exploring yours and your adventures. All the best to you! With a side trip to Corpus Christi, of course. I’m delighted to have come across your blog and looking forward to reading your posts. Sharon, I’ve seem your comments many times. I’ll be visiting your site. I’ve been wanting to tell you that my maiden name is Pratt. Claremary, we may be family! However, lots of Pratts in the world. My husband’s paternal family has English and French background. One story is that his ancestor came over on the Mayflower as crew, but we’re not sure if that’s myth or truth. My maiden name is Bonin. I’ve been using the hyphenated Bonin-Pratt for my writing because there are other Sharon Pratts or Shari Pratts in the world, but I seem to be the only Sharon Bonin-Pratt. Looking forward to friendship with you. I really enjoy your blog! The way you use images and white space, even the topics are intriguing. Can you post more about your marriage? As a college student almost ready to graduate, I am haunted by the fact that my parents met each other around this time. Some people say I’m too young for marriage, others say “Never Settle!” and I just wish there was one clear set of instructions. I like your insight. Great bio page. Your story is about being a success. Its going to be fun following you and seeing the world through your eyes and photos. Thank you for such an encouraging message. I was “chatting” with one of my blogger friends in India today explaining why I thought that after two years, I may stop posting and her advice was to post but not let it stop me from writing and publishing my books. So, this is an affirmation that she was right. It would be very hard for me to leave this community of kindred spirits. I’ll visit your blog very soon. Claremary we soooo hope you keep posting. I understand the responsibility it places on your already full plate but your walk is an encouragement to us. You have a real story to share and we want to listen. Thank you for this. It’s been very helpful for me. I really do understand the importance of our blogging community. The educational value, alone, that can be found within each post is amazing to me. I’ve learned so much about so many people, places and things over the past two years from all the posts I’ve read. And writing on different topics has honed my own skills which I’m sure that will make my future books better than they might have been. So, I have been giving this a lot of thought. It would be very hard for me to totally walk away. I’m trying to find a reasonable balance so that I can continue being an involved blogger while writing and doing all of the things that make up my day-to-day life. I’m going to visit your blog right now. Thanks, again. Isn’t it true about the educational value. We learn from so many others and the areas they report from. Its like being there with the people as they tell the story through their pictures and words. There doesn’t seem to be enough hours in the day is there? LOL. In one day, I can visit over twenty countries and almost every state just sitting here at my computer. Isn’t it amazing how the “www” has brought the world together without ever leaving home. I like leaving home and I like staying at home. We have both worlds now. GREAT about page, Clare. I jumped over looking for the kitty posts and realized that, although we have interacted in a comment or so, thanks to Bernadette, I was not following you. Corrected now. I, too, find the Berkshires one of God’s special places, and got engaged in my 50s. My story did not have your happy “ending” and I felt I had no choice but to break it off, so I am thrilled for you and Charlie to have been able to make a life together. Congratulations. Madelyn, thanks for finding me and a special thanks to Bernadette. As you surely know, there are quite a few complications in marrying late. We’re already so set in our ways. In our case, we had to add in dealing with a toxic ex-wife and two grown children and that is a steep hill to climb. But we survived, scarred, but appreciative of having each other to lean on when going through good and bad times. I like to write about the good times, so people can take heart that it does get better most of the time. Toxic people, takers, cancer, money issues, self-absorbed children, can all take a toll. Somedays, Charley and I look at each other and can hardly believe we made it through all of this and got to the other side. Our perspective has been extremely altered and we are optimistic about the future.Thanks again, Madelyn and I hope you enjoy the Roxie Dammit posts as much as Roxie enjoys complaining to her audience. Tink will love connecting with Roxie — and a special thanks to Clive for the link, btw. With my ex-fiance, the family was extremely welcoming, so I didn’t have to deal with the struggles you describe (sorry that you did). The ex himself turned out to be the problem in my case. Speaking with his [young adult] daughter, it seems that he was self-focused and “set in his ways” since before she was born – lol. No need to share details, but it simply would not have been life-enhancing for me to remain in that situation. Still love to read “happily ever afters,” however. Congratulations. Obviously the family saw how lucky they would be if you were part of it. I think you lucked out in the end. Very sweet thing to say, Clare – and I totally agree that I was “shot at and missed!” I would have been miserable – and nobody wants to get divorced for cause after 50! I think I’ll enjoy visiting your blog world. So far so good. Hi, Lisa, and I lnow I’ll enjoy reading about someone who survived briniging up triplets! Roxie D. aka The Other Cat sends her regards to Tucker. Thanks for stopping by. o haha, we have plans all right! Bread Loaf! I wanted to go there too…and still do, so many wondrous places to explore and write in. Both my cat Chats (she speaks selectively) and I write out of a high-rise apartment in a busy sweltering city. I’m glad to find a kindred spirit! Hello, Jenny. I’m still dreaming of escaping to a quiet retreat where all my needs are taken care of and I write and write all day and into the night. But the reality is I’m on my sixth book and writing it in between living a day-to-day life with many demands on my time. I think I may have to create a new About Me Page? Thanks for stopping by and I wish you a cool summer to write in your high rise. Word Press a bit difficult to maneuver. I’ll have to find out what I missed when they put in the changes. I’ll stop by at your blog now. HI, So glad you have found your place and purpose…Blessings.